Lisa Behr, of West Penn Township, speaks during a Tamaqua School Board meeting Jan. 15, 2019. Jen Kinney curates WHYY’s recommendations for things to do in the Philadelphia region. Her stories have also appeared at Next City, Philadelphia Magazine, High Country News, and elsewhere. 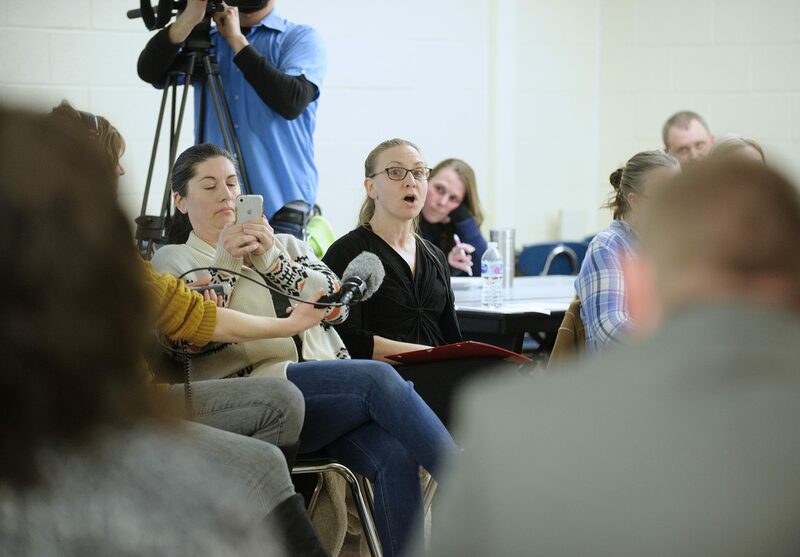 (Tamaqua) — The Tamaqua School Board voted Tuesday night to temporarily suspend implementation of a policy that would allow some school staff in the Schuylkill County district to carry firearms in classrooms anonymously. 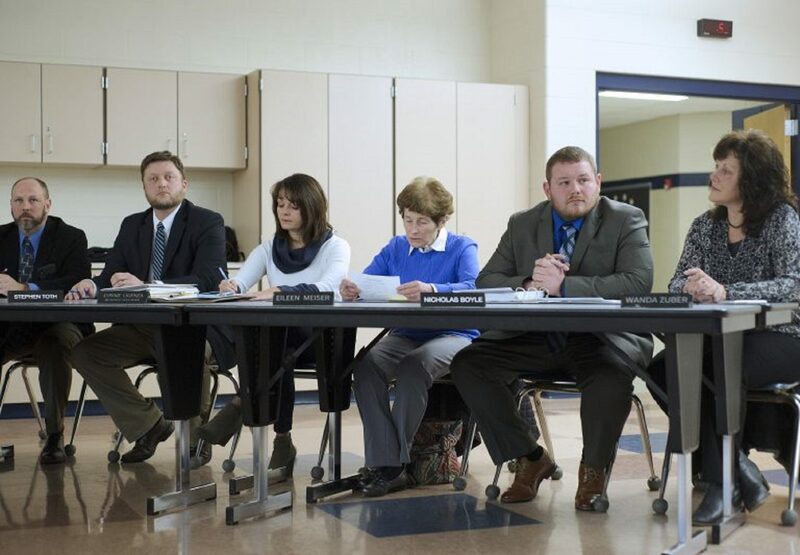 The Tamaqua School Board voted to temporarily suspend a policy that allows some school staff to carry firearms in classrooms anonymously. 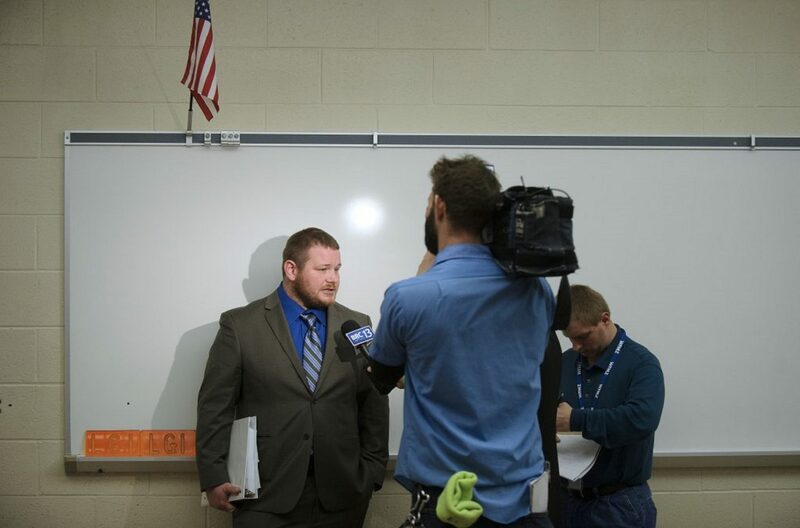 School board member Nicholas Boyle speaks to members of the media following a meeting Jan. 15, 2019.